Are you ready to have an absolutely thrill-a-delic summer? 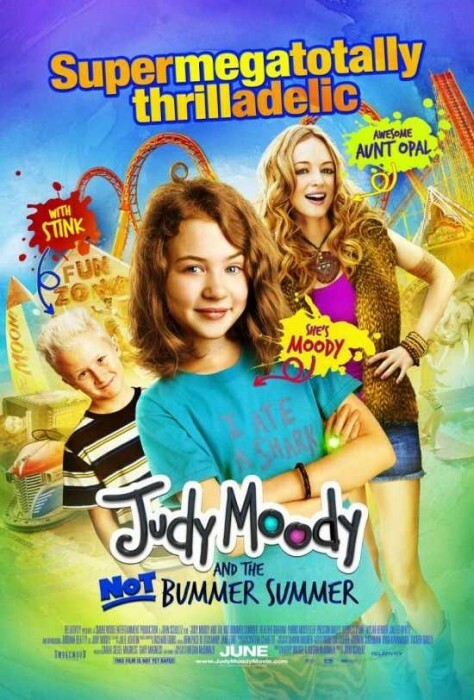 That’s certainly what Judy Moody is after in the new movie, Judy Moody and the NOT Bummer Summer, based on the book series by Megan McDonald (and illustrated by Peter H. Reynolds). But will Judy get the double-rare experience that she wants? And more importantly, if you watch this movie, will YOU? Watch our video review to find out! Have you seen the new Judy Moody movie? Leave a comment with YOUR review! How do you think it compared to the books? I want to go see a movie with you guys! Definite smiley face from the macaroni camp. This was so cool! I loved it!